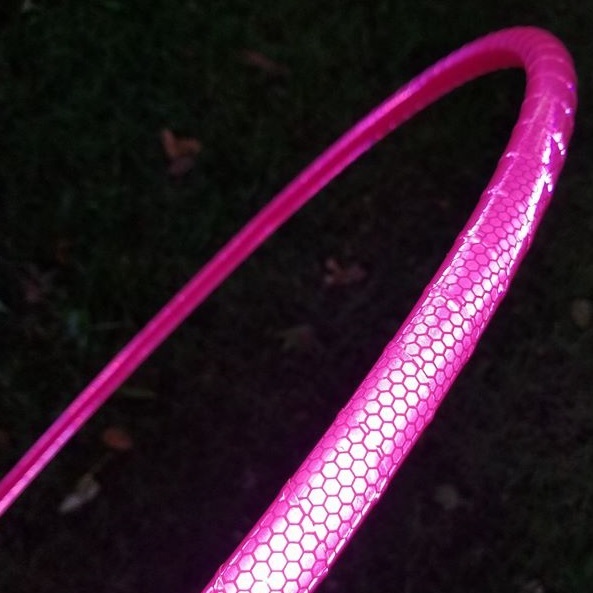 This hula hoop features high intensity reflective tape that reflects light to create unbelievable pictures and videos. Especially good for the hooper who loves to share on social media! 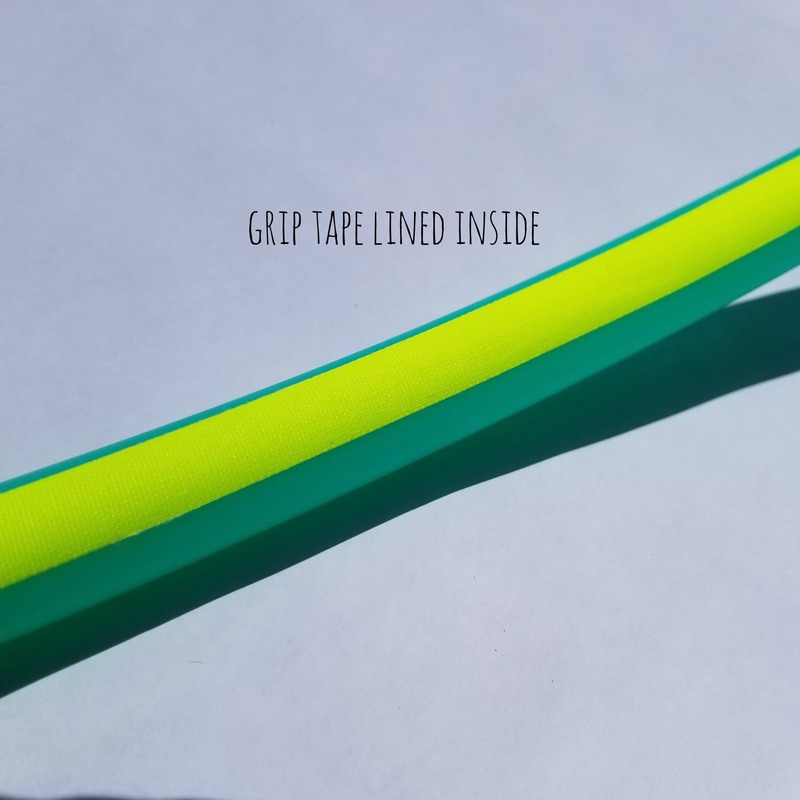 The tape is also fire resistant, so it is also a great choice to use with your fire wicks! 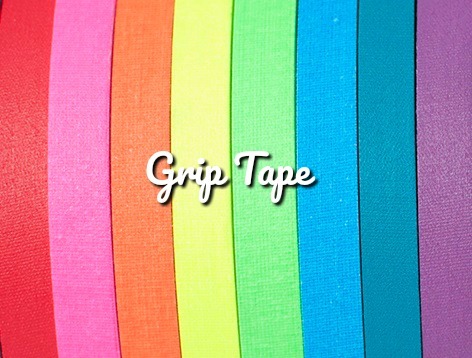 As always, grip tape is free! This is not an LED hula hoop. If that is what you are looking for, go here! 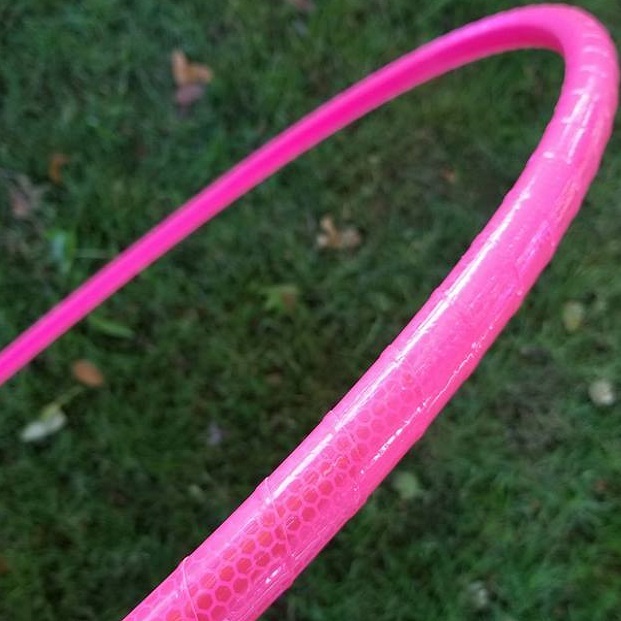 Reflective hula hoops are carefully crafted with high intensity reflective tape that shines brightly back at you when you point a light source at it. 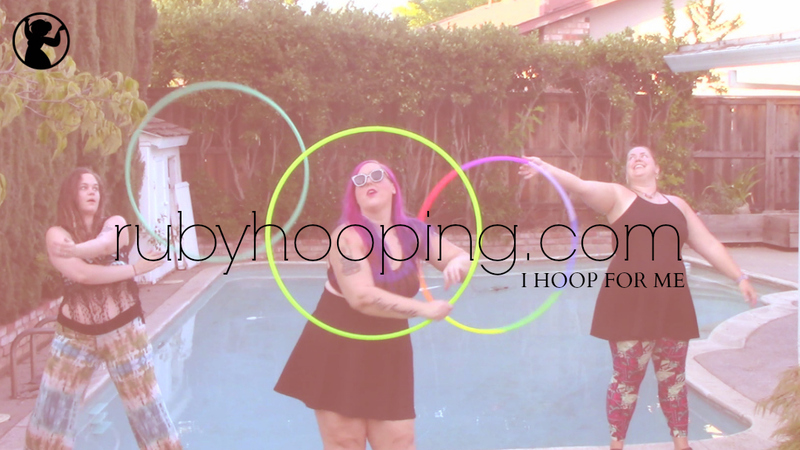 The best way to capture the full essence of these hula hoops is to take pictures and record video of yourself using the hoop while turning on your camera’s flash. The flash option is available on most all smart phone cameras, including iPhones and Androids. Below you can see a comparison picture of how this hoop appears with and without a flash on. 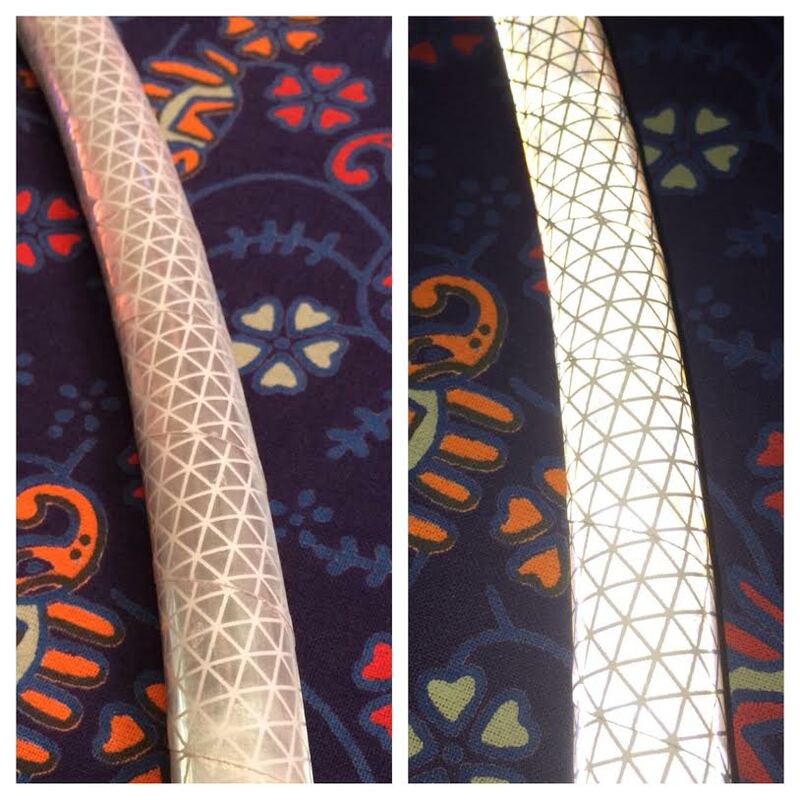 The left picture is what your hoop looks like in regular daylight. The right picture is how your hoop looks when flash is used to take pictures and videos of it. It can also look this way in person when a light source is being shined directly at it. PLEASE BE AWARE this is NOT an LED hula hoop and this hoop does not have lights inside it. If you are searching for an LED, we offer those too! Click here. 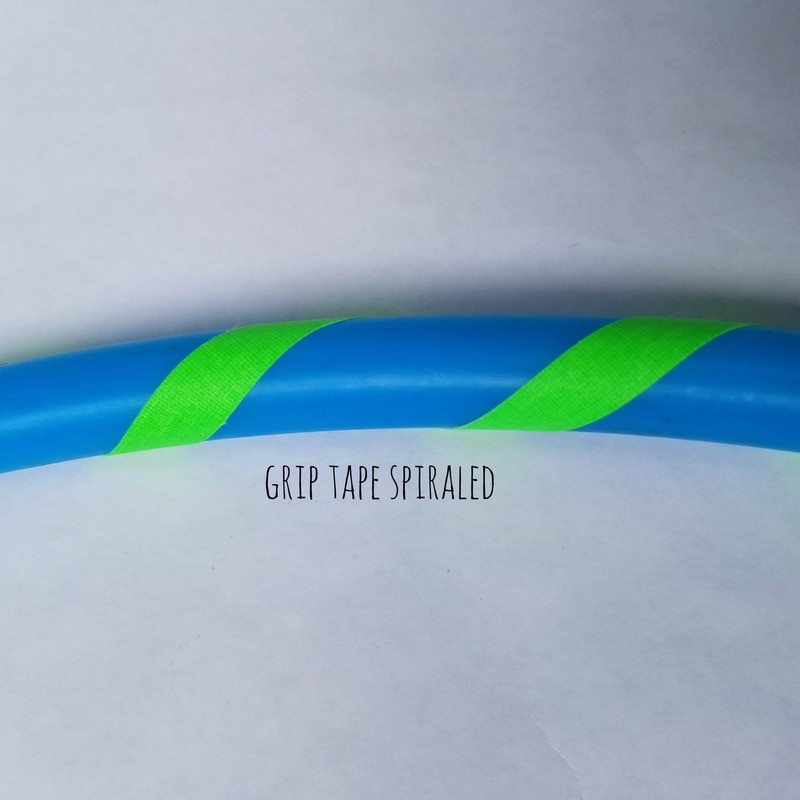 All of our hoops are made with either HDPE or polypro tubing. HDPE is a lightweight, durable tubing that absorbs impact. Our favorite! Polypro is less durable and susceptible to cracking in very cold temperatures. It also feels just a tad lighter and is much more springy. As always, these hoops feature a flawless push button connection for opening the hoop to coil it down, making them convenient for travel.